FIRST, she is compassionate. This means her brain is highly developed to read people's emotions, body language and tone to respond in a sensitive manner. She then asks insightful questions that brings out the best in them. Because of this quality people love her,trust her, and believe in her. The brain chemicals responsible for these emotions (i.e. dopamine, oxytocin, vasopressin, etc.) literally cascades out of their brain cells throughout their experience with her. She sees the potential and best in others because her mirror neurons reflects the best of what she see in others even when they may not see it themselves. 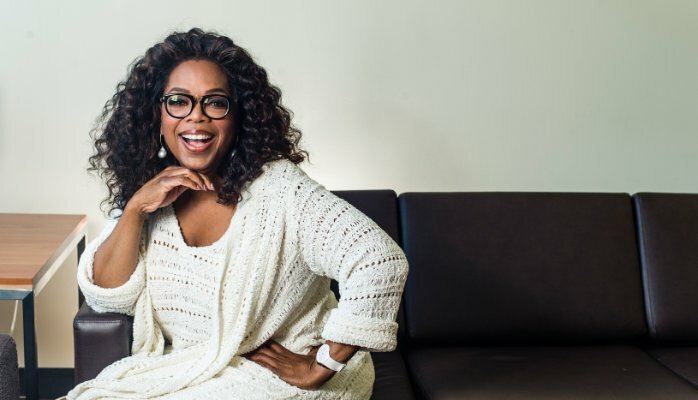 The SECOND reason Oprah's brain is so beautiful, is that she has a highly developed Prefrontal Cortex...that's right...the CEO of the brain. The CEO of the brain rules the fear brain that keeps us scared, in fear and from our GREATNESS. Oprah knew at three years old in the depressed region of Mississippi that she would NEVER be a house cleaner which was one of the few professions black women could look forward to at that time. She knew at three years old that she was meant to do GREATER and BE A FORCE IN NATURE. She was operating at a HIGHER part of her brain intuitively. She is a LEADER. She leads from the most advanced part of the brain...the prefrontal cortex. The THIRD reason Oprah has a HIGHLY developed brain is because of her GRATITUDE. Sure she's a BILLIONAIRE but she is a very humble billionaire. Her compassion and empathy continues to grow as she influences the world and that can ONLY come from a HIGHLY developed brain. You see GRATITUDE physiologically changes the brain. It allows the brain to wire itself to be in a constant state of mental appreciation. In this state we are positive, philanthropic, approachable, and forgiving. "When you meet obstacles with gratitude, your perception starts to shift, resistance loses its power, and grace finds a home within you." Thank you Oprah. You inspire us all to be our HIGHER selves! You see, women and men are equally brilliant, but women are designed to use their brains...differently. However, for the last 80 or so years, there has been a shift in how women have used their brains. We went from house wife, raising kids and running the household to working full time, rising in managerial and leadership positions, in addition to our female dutiful roles.